Dominion Rising brings you a galaxy of talented authors, including New York Times bestselling authors Gwynn White, Margo Bond Collins, Tom Shutt, Felix R. Savage and Erin St Pierre; USA Today bestselling authors P.K. Tyler, Anthea Sharp, S.M. Schmitz, K.J. Colt, Dean F. Wilson, Lisa Blackwood, Marilyn Peake, JC Andrijeski and Erin Hayes; and award-winning and Amazon bestselling authors S.M. 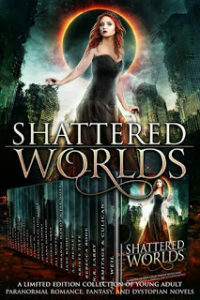 Blooding, Melanie Karsak, Timothy C. Ward, Daniel Arthur Smith, Tony Bertauski, Rebecca Rode, Cheri Lasota, Ann Christy, Becca Andre, Logan Snyder, Ella Summers, and Best American Science Fiction and Fantasy notable Samuel Peralta.